This paper presents the development of the Coastal Community Social Vulnerability Index (CCSVI) in order to quantify the social vulnerability of hurricane-prone areas under various scenarios of climate change. The 2004–2005 Atlantic hurricane seasons is estimated to have caused $150 billion dollars in damages, and in recent years, the annual hurricane damage in the United States is estimated at around $6 billion. Hurricane intensity or/and frequency may change due to the increase in sea surface temperature as a result of climate change. Climate change is also predicted to cause a rise in sea levels, potentially resulting in higher storm surges. The CCSVI combines the intensity of hurricanes and hurricane-induced surge to create a comprehensive index that considers the effects of a changing climate. The main contributing factors of social vulnerability (such as race, age, gender, and socioeconomic status) in hurricane-prone areas are identified through a principal components analysis. 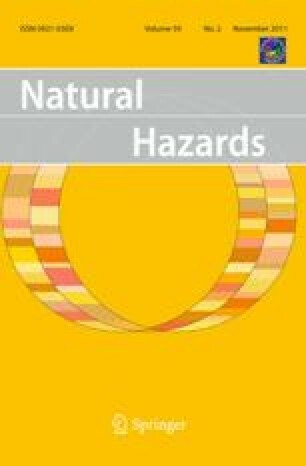 The impact of social characteristics on the potential hurricane damage under various scenarios of climate change are evaluated using Miami-Dade County, Florida, as a case study location. This study finds that climate change may have a significant impact on the CCSVI.